...By Order of the Queen. 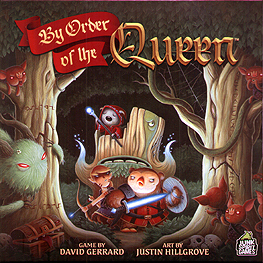 By Order of the Queen is a cooperative fantasy RPG-lite board game. Players take on the role of a Guildmaster of the Kingdom of Tessandor. There are so many heroes wanting to help the Queen that the guilds have been tasked with assigning heroes to protect the Kingdom as they see fit.